This is a lack of informed consent medical malpractice case filed by a woman and her fiancé in Prince George's County. They allege that instead of the explained cyst-removal procedure, the defendant doctor performed a hysterectomy. The case was filed by the couple, pro-se, in Health Claims Arbitration on January 16, 2017. It is the 24th medical malpractice case filed in Maryland this year. It is the second lawsuit filed this year without a lawyer. As we explain below, this is path that almost inevitably ends badly in Maryland medical malpractice cases. Plaintiff is diagnosed with an ovarian cyst by her primary care physician. She is referred to defendant gynecologist. Defendant gynecologist schedules surgery to have the cyst removed for the following week. Plaintiff reports this to her fiancé, who becomes worried about the urgency of the surgery and requests to meet with the doctor to ask him questions. This meeting takes place, and defendant doctor explains that it is a simple and benign procedure involving a small incision below the belly button. Defendant doctor tells the couple there is nothing to worry about. The surgery is scheduled for twelve days after the meeting. The surgery is done at Prince George's Hospital Center. In the preparation room before the surgery, the nurse allegedly plaintiff with papers to sign, allegedly without explaining the contents of the papers. Plaintiff is unable to read or understand the documents, but signs them without the nurse's explanation of what they were. These forms were an agreement for a hysterectomy and fibroids removal. After the surgery, the doctor explains to the plaintiff's fiancé that he had removed the woman's cyst. Two weeks after the procedure, plaintiff goes to defendant doctor for a follow-up. She requests birth control pills. Defendant doctor tells her not to worry about birth control, and when she explains this to her fiancé after the appointment, he immediately begins reading the papers the hospital gave to the plaintiff after her surgery. Her fiancé discovers they had done a hysterectomy, contrary to what defendant doctor told them was going to be the procedure during their meeting. Plaintiff and her fiancé allege that she would not have agreed to the hysterectomy and fibroid removal procedure if she knew that was the procedure taking place. Plaintiff is young and was not done having children, as she planned on having two more children. She and her fiancé bring this case against defendant doctor and the hospital for mental, psychological, and physical damage. If there is any case that can be filed with a medical malpractice lawyer, it is an informed consent case. Because there is sometimes a path to trial without a medical expert which means there are fewer landmines along the way. That said, it is still an almost impossible task. If you are hiring a lawyer who is not an experienced malpractice lawyer, you are taking a huge risk. Handling a malpractice claim yourself exponentially compounds that risk. If the woman in this case had a lawyer, she would still have a tough case. Her claim is that she did not read the documents in the informed consent. It may well be this case was an honest misunderstand between the doctor and the patient. It is likely in cases like this that the patient did not understand the procedure she was getting. 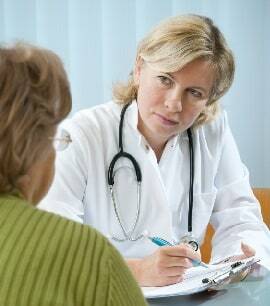 It is often the doctor's fault but it is not always the doctor's fault when this miscommunication occurs. Any uncertainty is going to be resolved in favor of the doctor when the doctor has a signature on the informed consent document. In this kind of case, there is little motive to deceive the patient about the nature of the procedure. If you have suffered a physical injury due to the negligence of a doctor of hospital staff, Miller & Zois can help you. We have a history of obtaining large verdicts and settlements in medical malpractice cases in Maryland. You can go online for a free case review, or call us today to speak to one of our attorneys at 800-553-8082.